Back in April, in Seattle, U.S. District Judge James Robart ruled that Microsoft should pay Motorola only $1.8 million a year as a royalty payment to use Motorola's standards-essential patents. These are patents that a company cannot avoid using to build a specific device. Negotiations over licensing of these patents is supposed to be done in a "Fair, Reasonable, and Non-Discriminatory" fashion, hence they are called FRAND patents. The patents involved with this particular case are the H.264 video standard and the 802.11 wireless standard and Motorola, a wholly owned subsidiary of Google, was seeking $4 billion a year for the rights to use them. The technology is used for Windows Phone and for the Xbox and Redmond based Microsoft recently sent a letter to Motorola suggesting that it make a $6.8 million payment to cover all past use of the patents. Motorola has refused the payment and is continuing to hold on to a court-ordered $100 million bond obtained by Microsoft even though the actual damages that were awarded by the judge were well under this amount. In addition to paying $6.8 million to catch up with past use of the patented technology, Microsoft said it would also pay Motorola future royalty rates based on future rate-setting court decisions. Whether you are an attorney or just play one on television, you can check out the legal documents below, including a copy of the letter from Microsoft to Motorola. Global sales of the Xbox line alone since its inception have been 100 million worldwide. Not including Windows Phone sales, Microsoft basically just offered to pay 7 cents per device it sells using Motorola's technology. This is the same company that's more than happy to collect 15 DOLLARS per device, or 21,000% of what it offered Motorola, from HTC and Samsung each for the use of ITS patents. In other words, Microsoft can go screw itself. I thought this fell under the notion of being a FRAND patent? I think that was a little too generous of an offer to Motorola. Because you misunderstand what FRAND is supposed to be. You think that FRAND patents should be licensed for free. 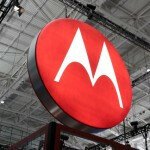 Is Motorola appealing the ruling? Because otherwise what they are doing seems borderline illegal. What Sniggly said was right - if it's good for the goose it's good for the gander, regardless of MxyTroll's views.